Concept of CAD as drafting and designing facility, desirable features of CAD package, drawing features in CAD – Scaling, rotation, translation, editing, dimensioning, labeling, Zoom, pan, redraw and regenerate, typical CAD command structure, wire frame modeling, surface modeling and solid modeling (concepts only) in relation to popular CAD packages. 1. What is scaling transformation? 6. What is the function of a Zoom command? 7. What do you mean by regenerate in CAD? 10. List any four advantages of CAD? 6. List various CAD packages and explain the characteristics of each package. 2. What are the main elements of a CIM system? 3. Name any four activities of a manufacturing plant which can be carried out through computer control. 4. What is the role of CIM in manufacturing? 5. Define Islands of automation. 6. How the manufacturing industries can be grouped? 7. Define: Product development cycle. 8. Define electronic data interchange. 9. What is manufacturing automation protocol? 10. What is production planning? 11. What is meant by physical distribution? 12. What are plant operations? 1. Briefly explain the nature and role of the elements of CIM system. 2. Describe the basic activities that must be carried out in a factory to convert raw materials into finished product. 3. Describe the need for CIM and issues addressed by CIM. 4. Discuss the stages in the product development cycle and the importance of each stage. 5. What do you understand by term islands of automation? List and explain any six islands of automation. 9. What is CIM II? Explain its benefits. 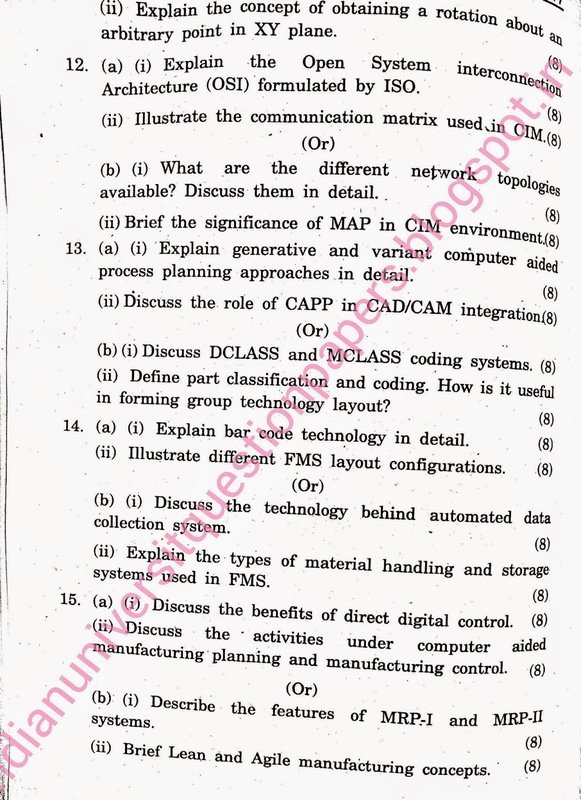 Are you searching for old question papers of CIM ME2402? 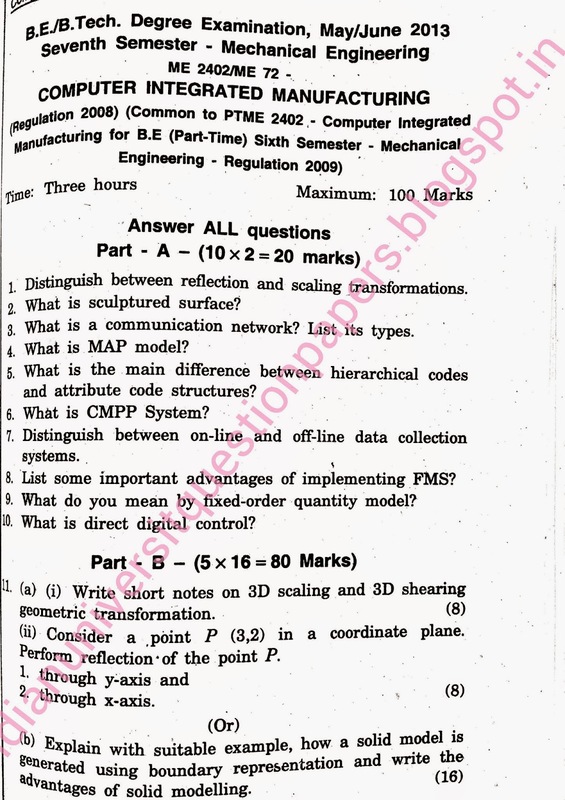 You will find three question papers of Anna University Examinations for this CIM subject in this part of this blog. 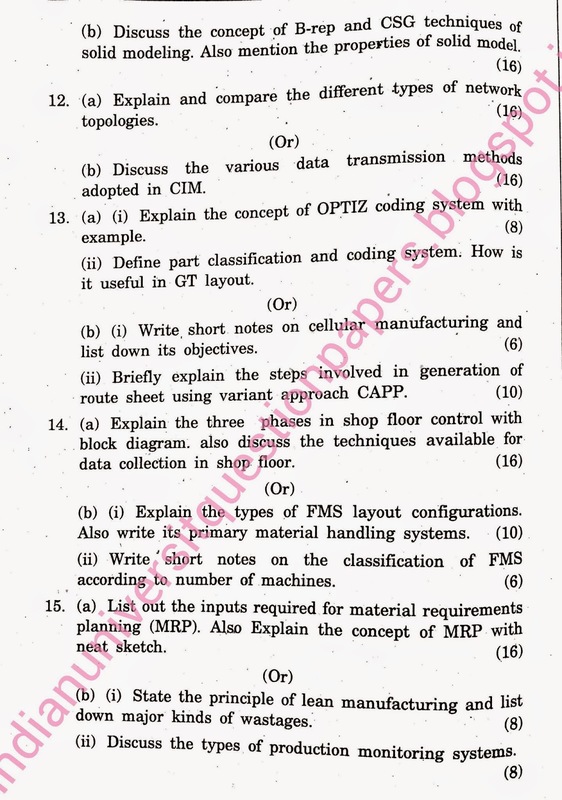 The first question paper was asked in the year November December 2013 Examinations conducted by Anna University. The next one refers to the examinations held in the month of May June 2013. The last one was asked for the examinations held during 2012 May June. Download the question papers available in the format of images provided here under. Are you looking for study materials for the subject CIM belonging to 07th Semester under Anna University Chennai? In this blog, the study materials for the unit II - Components of CIM are illustrated. This is under Regulation 2008 of Anna University Chennai. Download the PDF file from the following link. You need to have installed the acrobat or adobe PDF reader to view the downloaded file. If you want any other materials, please leave a reply over here at the comment box provided at the end. • To gain knowledge about the basic fundamental of CAD. • To gain knowledge on how computers are integrated at various levels of planning and manufacturing understand computer aided planning and control and computer monitoring. PLANNING 9 History Of Group Technology – role of G.T in CAD/CAM Integration – part families- classification and coding – DCLASS and MCLASS and OPTIZ coding systems – facility design using G.T – benefits of G.T – cellular manufacturing.Process planning - role of process planning in CAD/CAM Integration – approaches to computer aided process planning – variant approach and generative approaches – CAPP and CMPP systems. Shop floor control – phases – factory data collection system – automatic identification methods – Bar code technology – automated data collection system. 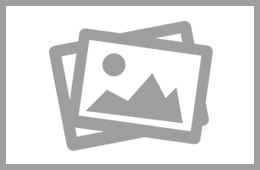 FMS – components of FMS – types – FMS workstation – material handling and storage system –FMS layout- computer control systems – applications and benefits. Production planning and control – cost planning and control – inventory management – material requirements planning (MRP) – shop floor control. Lean and Agile Manufacturing. Types of production monitoring systems – structure model of manufacturing – process control and strategies – direct digital control. 1. Mikell. P. Groover “Automation, Production Systems and Computer Integrated Manufacturing”, Pearson Education 2001. 1. Mikell. P. Groover and Emory Zimmers Jr.,“CAD/CAM”, Prentice hall of India Pvt. Ltd., 1998. 2. James A. Regh and Henry W. Kreabber, “Computer Integrated Manufacturing”, Pearson Education second edition, 2005. 3. Chris McMahon and Jimmie Browne, “CAD CAM Principles, Practice and Manufacturing Management”, Pearson Education second edition, 2005. 4. Ranky, Paul G., “Computer Integrated Manufacturing”, Prentice hall of India Pvt. Ltd., 2005. 5. Yorem Koren, “ Computer Integrated Manufacturing”, McGraw Hill, 2005. 6. P N Rao, “ CAD/CAM Principles and Applications”, TMH Publications, 2007.